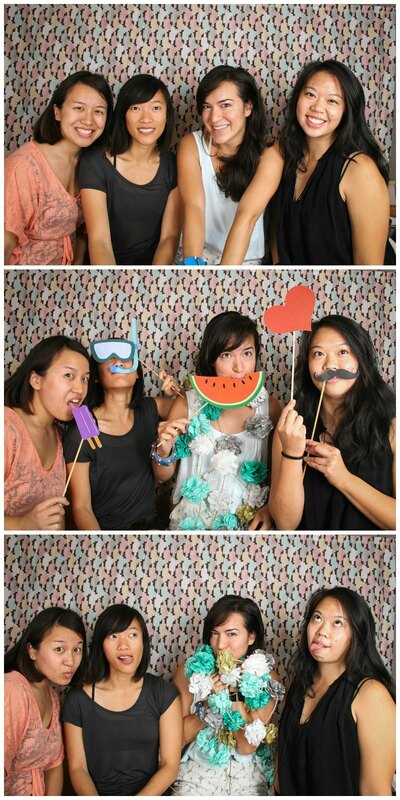 How I didn't post these photo booth pictures sooner, I don't know, because photo booths are too legit to quit. During July 2014, I went on a weekend trip to Denver with Emily, Melody, and Lee Anne - girls I grew up with. Denver was a good place to hang out for the weekend because it's foodie and hipster, so there were many things to do. We found a place to stay the weekend on Airbnb. It was a cute little place with a couple bedrooms and we had it to ourselves. On Friday night, which was the day we all arrived, we ate a late dinner at a nearby restaurant, Argyll. The next day, we had lunch at Comida at The Source, which was this market that had a few trendy restaurants in what looked like a converted warehouse, along with a floral shop, bakery, and other things. For dinner later that night, we cooked pasta and ate on the patio out back. The weather pretty good, perhaps even a bit chilly for my Phoenix blood. During the day on Saturday, we hit up a craft market that we found, the Horseshoe Market. At the market, there was a vintage camper-turned-photo booth called Picture Me Camping, and we did two rounds of photo booth so that we'd each have a photo booth strip (but also, I love that many photo booths now offer digital copies of photos, otherwise I'd have to scan them). And after all that set up . . . photo booth!